The ANC wants to make history compulsory at school. But can it? The idea is great in theory, but there are more challenges than most people can even guess at. 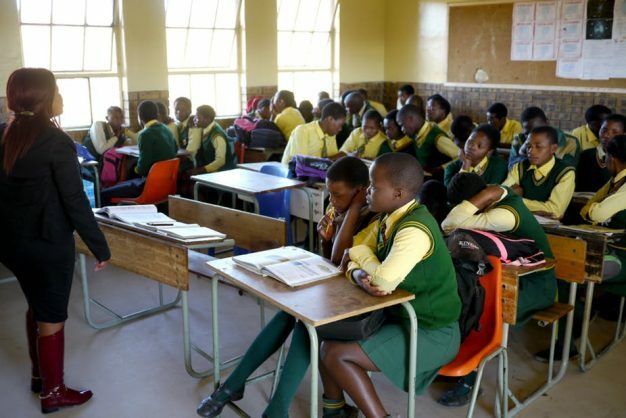 South Africa’s Minister of Basic Education Minister Angie Motshekga has released a report from a ministerial task team that recommends a major overhaul of the history curriculum at schools. Most of the debate around the report has focused on its main recommendation – to make history compulsory in the final three years of high school from 2023. The proposal faces steep challenges. One of the most important might be the availability of enough well-trained history teachers to meet the demand. The report acknowledges this. But it underestimates what will be needed to train new teachers. Can universities and specifically education faculties deliver? The funding crisis facing South African universities is well reported. Less well known is how it specifically affects education faculties tasked with training teachers. I was involved in a 2017 research paper on the training of history teachers in 20 universities and universities of technology (see footnote). What we found was that the country’s education schools weren’t in a position to produce adequate numbers of good history teachers to meet the need if history was made compulsory in grades 10-12. The research findings made it clear that the preparation of history teachers as well as the teaching of history is in serious need of attention. The ability to prepare new history teachers to meet the demand for a policy like this will be hamstrung by two things: the low status of history and teacher education in general in universities, and ongoing budget cuts. In addition, there are structural constraints in the funding model of universities and education faculties that will make it hard to bring the necessary staff on board. Without additional resources to train new teachers, the risk is that unqualified staff will be used and the quality of preparation will become poorer than it already is. The task team’s report acknowledges that teachers will need to be trained and developed. But it doesn’t provide enough information to enable an assessment of how many teachers will be needed. Nor it is clear how many new teachers will need to be taken in by universities and trained. The report is creating a new demand for history teachers – a long-standing resolution of policy conferences of the ruling African National Congress – but this may remain an unfunded mandate unless funding of universities, and in turn of education faculties, changes. The chances of this are slim. Education faculties have one of the most important jobs at universities – to prepare teachers properly to ensure that the entrants from schools to other faculties are well qualified. Yet they are at the bottom of the food chain when it comes to funding and resources. Complex formulae govern this. As the least powerful faculty in universities, it is unlikely that others, such as medicine or law or engineering, will agree to improving the formula in favour of education. The impact of the funding regime for education – and specifically for preparing history teachers – has been dramatic. Staffing has declined dramatically over the past decade. And unsurprisingly there have been staff cuts in some of the most vulnerable areas, including history, because it’s not seen as critical to economic development. In the meantime, however, students continue to register for history. What this means, as our 2016/17 study indicated, is that staff members cut corners. Huge classes mean that it is impossible to lecture and be heard, let alone mark each and every assignment. We heard repeated accounts of how assistants who had no qualification in history were appointed to assist with marking. Developing future history teachers might be a challenge for other reasons too. The requirements for entry into the history courses in the Bachelor of Education vary from university to university. But most allow students to register for history education, regardless of whether they studied the subject at school. As a result, most have little background in history. the reality is that there are students who come here who want a degree and a job but they are not interested in history. They can make history compulsory, but don’t ask me to teach the students. South African universities are facing huge funding pressures. While the number of students enrolling at higher education institutions has increased – deliberately so – since 1994, funding has declined overall. Within this bigger picture, education, training and development of teachers has particularly felt the crunch. Place this within the context of South Africa’s ailing economy and it’s crystal clear that while the proposed curriculum reform is to be welcomed in principle, making history compulsory will increase funding requirements – an outcome that’s unlikely to be met in the near future. Michelle Friedman contributed to this article. She was training teachers at Wits until the end of 2017; she is currently a history teacher at Sacred Heart College, Johannesburg. See Natasha Mbambo, Linda Chisholm, Michelle Friedman and Queenta Anyele Sindoh: Decolonising the Teacher Education Curriculum: Mapping the Status and Nature of the Teaching and Learning of History in Education Faculties. University of Johannesburg and University of the Witwatersrand. Report funded by the NIHSS. May 2017. For a copy of the report contact Professor Linda Chisholm.